Airship aims to add value with lasting significance to clients, team members, and our communities. We deliver high-quality software solutions that companies depend on to grow and do more while providing team members with enriching careers. By fostering teamwork and collaboration, Airship works as a unit to solve problems and create the perfect solution. GROWTH. A company that isn’t growing is dying. Growth opens up new opportunities for our crew members. 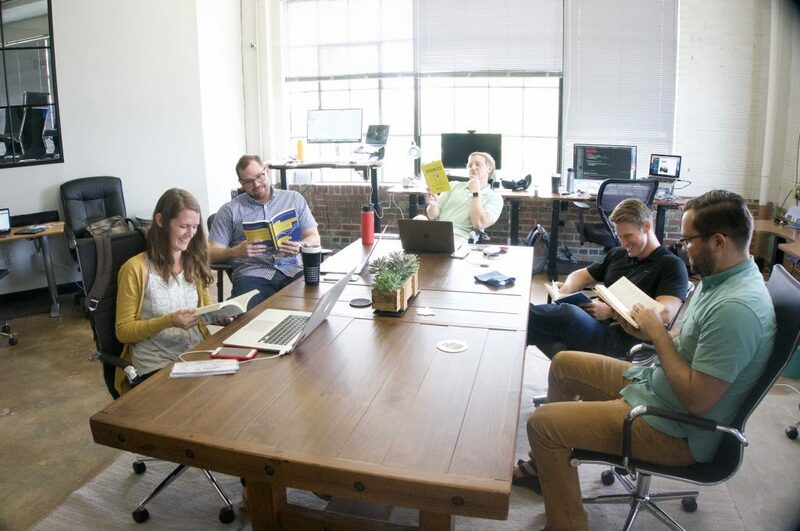 Airship was recently ranked the 8th fastest-growing company in all of Birmingham – and we’re not slowing down. Read more about this incredible award on our blog! FUN. At Airship, work should be fun. We joke, laugh and celebrate wins. Friday lunches, Quarterly team building, Birthday celebrations, Goal celebrations and hanging out together are just a few things we like to do for fun. REMOTE-FIRST. Airship is a remote-first company. Yes, it is possible to work from home and be productive. Our team has built our processes around ensuring you can work remotely. Culture is extremely important to us. Airship looks for people who are “A” players and love being around other “A” players. We expect each crew member to pursue excellence. Why? Because we are a team of creators passionate about honing our craft, and we love working with people who share that DNA. If you like to have fun, work hard and collaborate with your fellow crew members, then you are a likely fit for our culture. To view more of our crew adventures, follow us on Facebook, Twitter, and Instagram! Interested in working at Airship? Submit your application using the form below and we’ll keep your information on hand for future positions.